For couples about to be married, a Deluxe Wedding Package at US$3200 (net), includes a six-course dinner with champagne, in-villa breakfast the morning after the wedding, a Navasana Spa treatment for couples and romantic turndown service. A US$2500 package is also available. All weddings on the romantic coral-fringed island include a dedicated wedding coordinator, MC or priest, exclusive wedding venue, a ring and vow exchange ceremony, and a guarantee that no other wedding will be taking place on the island that day. In addition, all wedding couples will receive guaranteed early check-in, late check-out, a wedding cake, a palm arch or white-draped pavilion, a bottle of champagne, local Maldivian musician performance, and a symbolic wedding certificate*. Honeymoon and anniversary couples have a choice of two value-added packages. 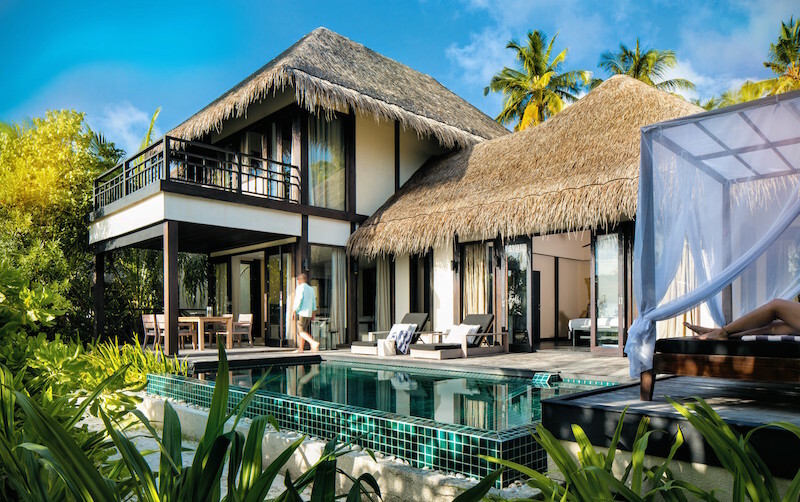 The Romancing Package (US$1430 net per couple) includes a bottle of sparkling wine, one in-villa breakfast, a candle-lit dinner on the beach, an in-villa Navasana Sweet Dream (30-minute bath and 60-minute body massage), a 60-minute body scrub or body wrap, a 60-minute facial treatment or 60-minute after-sun soother, plus 15% off a la carte spa treatments. A Pampering Package (US$940 per couple) includes a bottle of sparking wine, an in-villa dinner, a bath ritual decoration with candles and rose petals, romantic bed decoration, a 60-minute aromatic massage and a 120-minute romantic spa ritual comprising 90 minutes of aromatic massage and 30 minutes floral milky bath. Further information: [email protected] Tel: +960 684 7771. * The wedding ceremony is symbolic and not legally recognised.